Sunday saw the heartbreaking conclusion of BBC1's Our Girl. 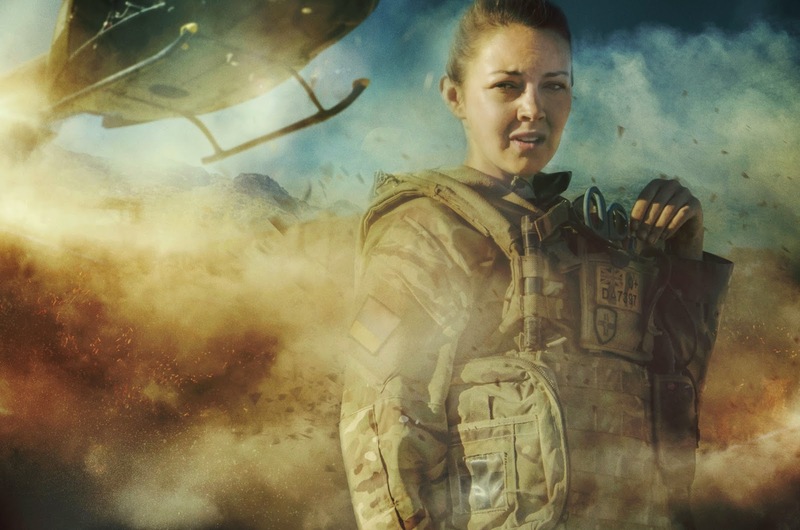 The story, which followed on from the original pilot in 2013, starred Lacey Turner as newly qualified Army Medic Molly Dawes. The Five-part drama followed Molly on her first deployment to Afghanistan and reflected the realities of the modern solider. To coincide with the release of the first series on DVD we spoke to writer Tony Grounds about his research, his hopes for the series and how his daughter ended up in the show. How has it been writing a full series since the pilot went out last year? Well it was all relatively quick, it was getting the original pilot greenlit that took the time. The pilot went out in March 2013 and nearly a year and a half later we've shot, edited and transmitted the five-part series. That's pretty quick in television terms. Right from the start Danny Cohen (Director of BBC television) read the first one and said "make it". Everyone's been very supportive. How would you describe the series to someone who hasn't seen it? It's a piece with our character Molly Dawes as the beating heart. Her story hopefully says that anyone from any background can do anything if they really really want to. However humble their roots might be, or however much of a bad start you've had in life. Her story shows journey proves you can turn anything around and become a success. The series follows Molly on her journey from the dysfunctional kid we saw at the beginning of the pilot to someone who can stand up and address Afghan medics. She becomes an asset to society rather than a drain. My hope and aspiration for the piece was to inspire a generation of people who feel that they haven't got a lot of hope and say to them what ever you want to do in your life you get on and do it! Of course it's a story about the army and a love triangle, but really it was to show younger people anything is possible. How much research was involved in bringing Molly's army experiences to life? Masses really. As I say the one-off went out in 2013 but I started writing that in 2009. I spent a lot of time with soldiers, The Royal Army Medical Corps. I was commissioned to write a script in 2010 but it wasn't green lit until 2012, so I had a lot more time to go down to army training camps and meet with individual soldiers. By the time I got the go-ahead for the full series I'd already struck up a friendship with about a dozen really fantastic soldiers who had done tours of Afghanistan. I took two of them out with me to where we filmed in South Africa and they worked as our Military advisors. How involved were you during the filming process in South Africa? I was executive producer along with Caroline Skinner from the BBC who was fantastic. I like being on set all the time really. It's great being near because you can rent a room, go in there and write and nip back and forth for the exciting bits. The series has a been a huge hit with a younger audience, did that surprise you? When your protagonist is in her early twenties and all her fellow soldiers range in age from 18- 24 it gives a younger audience a chance to see people like themselves on the screen. We also tried to reflect the diversity within the British Army so we had characters from Manchester, Liverpool, London, Birmingham, so we tried to keep as reflective and young as we could. Some of my favourite scenes across the series were those where Molly is dropped back into her hectic home life. Was it enjoyable returning to the origins of the story? When you do a six month tour of Afghan there's a two week spell in the middle where you're sent home for rest and relaxation. So you leave a battlefield, possibly manning a machine gun post and then you're thrown back into your family life, and then two weeks later you're picked up again and back off to man your post again. It's a slightly surreal part of the experience that I wanted to capture. A great way to depict how much someone has changed and grown up is to take them back to where they were at the start, so those scenes were there to show how much the experience had changed her. Molly Dawes changes her life for the better doesn't she? Absolutely. She could've easily followed in her parents footsteps and become someone with eight kids living on benefits, but she changed the narrative of her life. She was strong enough to say "no I don't want this, I want something more." In the original pilot, didn't Molly have a sister nearer to her age? What happened to her? Yes! The actress (Mimi Keene) was cast in EastEnders and we didn't really think it was very good to have two actresses from the same show in there. There were so many kids floating around that we just moved the next one up. As it happened that meant my daughter would have a bigger role in the series. My wife is a teacher so as it was half term I took my daughter along to set when we filmed the pilot and she got involved. So when we filmed the series she was moved up! She had a scene with Lacey in the kitchen and I just told her to be the stroppy little mare she is at home and she was fine! Is there potential for a new series or a follow up with Molly? I'd certainly love to tell more stories with this character. When I did a recent Q&A on Twitter we were trending worldwide, so it gives me hope. When we got that initial Sunday night slot and we saw we'd be up against Downton and Homeland we were worried, but we've been consistently popular on the iPlayer and we've picked a lot of viewers up along the way and the consolidated ratings have been really good. 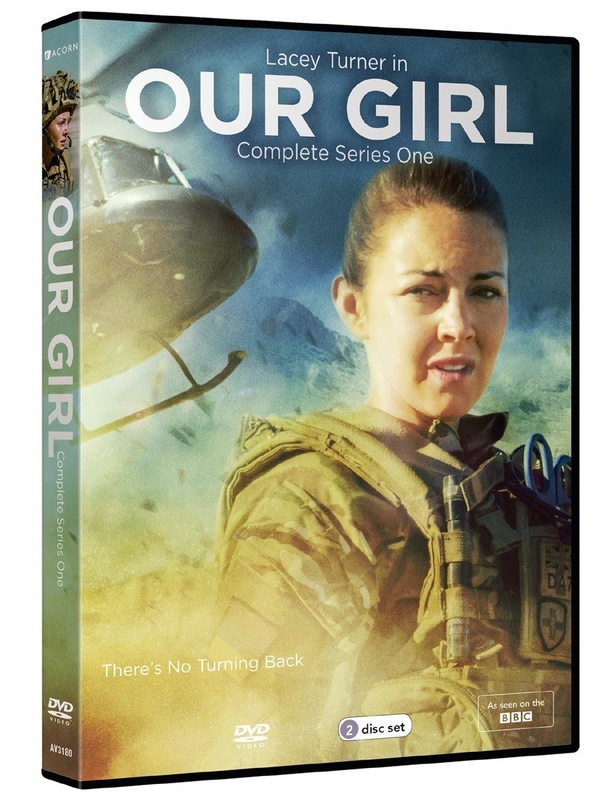 Our Girl arrives on DVD on Monday 3rd November.